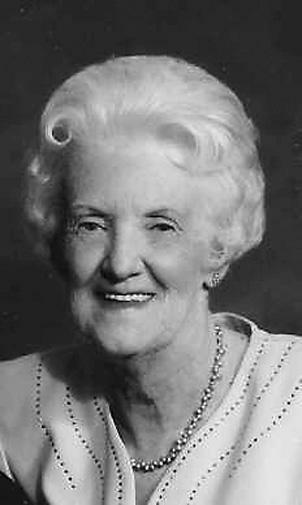 Dorothy Lucille Conder passed peacefully with her family present on Feb. 26, 2009 at the Life Care Center of Longmont. She was 84. Born on Feb. 5, 1925 to George and Dorothy Rueter, she was a life long resident of Berthoud. Dorothy is survived by her husband Lloyd of 59 years, brother George Rueter Jr. and wife Donna of Colorado Springs, Colo.; daughter Glenda Conder of Louisville, Colo. and son Allen Conder of Casper, Wyo. ; granddaughter Alisha Conder, husband Michael and great-grandson Tyler of Denver, Colo. and several nieces and nephews. She graduated with the Class of 1943 from Berthoud High School and Barnes Business College in 1945. Dorothy played the piano and organ for high school dances, Eastern Star, weddings, funerals, church and the family. She was a member of the Eastern Star for 60-plus years and organist for the Berthoud chapter. She enjoyed working for several businesses and the school district. Her passions were music, and being a homemaker, mother, grandmother and great-grandmother. Grandma was the peacekeeper of the family. Mom’s love and self-sacrifice was the glue that held the family together. Her welcoming warmth, smile, laugh and sense of humor will continue in the memory of family and friends. Please join us for a celebration of her life on Tuesday, March 3, 2009, at the Kibbey Fishburn Funeral Home, 1102 Lincoln Ave. in Loveland. A viewing and visitation with family present will begin at 1:00 p.m. with the services following at 2p.m. Interment will follow in the Greenlawn Cemetery in Berthoud. Memorial contributions may be made to Alzheimer’s Association or Hospice Care of Boulder and Broomfield in care of Kibbey Fishburn Funeral Home. Site contents copyright © 2019 Recorder Online	except as noted. All rights reserved. | 83 queries in 4.070 seconds.